Python islower is one of the Python String Method which is used to check the given string has at least one character, and the character is either in lowercase, or not. If it is lower then the function will return True otherwise, it returns False. 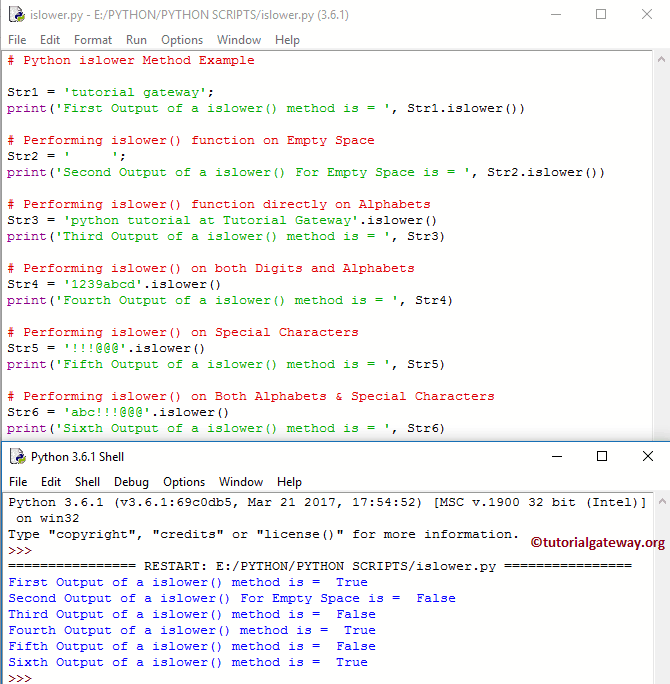 In this article we will show you, How to write islower Function in Python Programming with example.